Copperstone - Grand Haven's Finest Private Residential Community. This lot is on a cup-de-sac. 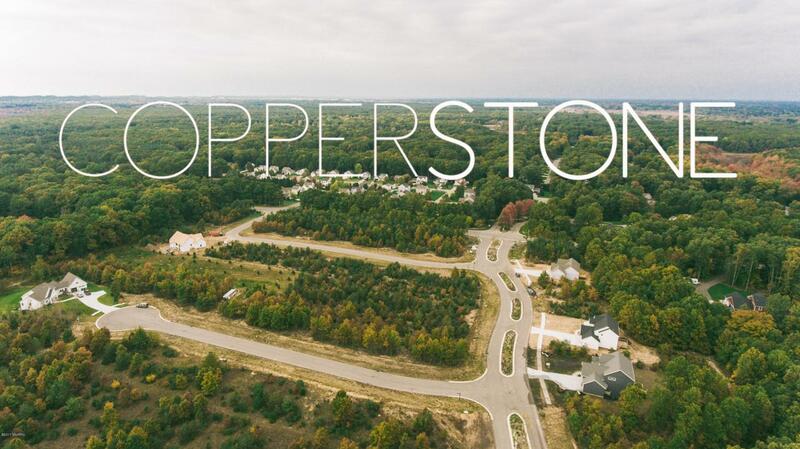 Copperstone is an exciting new luxury neighborhood where architecture is blended with the natural beauty of the land to create a place that you will be proud to call home. Here are some reasons why so many are already choosing Copperstone; resort style amenities, architectural integrity, unmatched location, top ranked schools and respected custom builders. Visit copperstonegh.com for a video and more information. Listing provided courtesy of Jake Hogeboom of @Homerealty. © 2019 MichRIC, LLC. All rights reserved. Information deemed reliable but not guaranteed.